Welcome to Ward 5 Online: Magoun Square Open House Set for Saturday January 31st! Magoun Square Open House Set for Saturday January 31st! 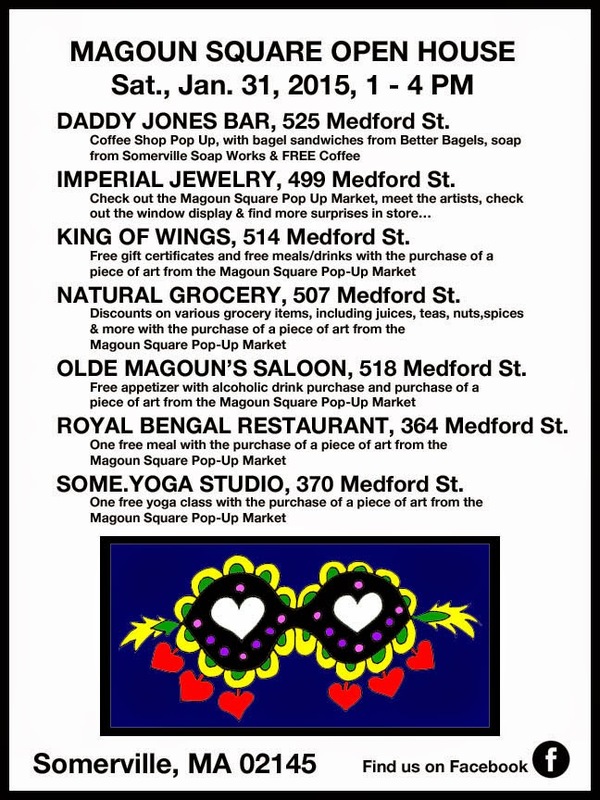 Several businesses and artists will be participating in a Magoun Square Open House that includes a pop up art market at Imperial Jewelry (499 Medford Street)! Details and information on offers from participating restaurants can be found in the post above or on the Facebook page launched for the event!